Sunday, engaging all members of the family through the lens of a comic household discussion, TV stars Sandeep Anand and Sucheta Khanna, along with little young superstars Vishesh Bansal, Gauransh Sharma and Divyansh Dwivedi will entertain viewers with an exclusive feed – Super Funday. With all the cricketing action and excitement that fans will witness this VIVO IPL 2019, Star Gold has added the element of family entertainment to cricket – a full dose of cricketainment for eight hours across two games. With a witty take on all things from sports news to cricketing anecdotes, the Khelkar’s will entertain guests to comic enactments, dance, music and lots more. Every week, on the couch will be a mix of cricketing experts and celebrities engaging audiences to a laughter riot like never before. The show’s spotlight are the kids’ hilarious interactions with the experts and celebrity guests. Showcasing their talented reporting and interviewing skills, the bacha party will bring viewers a delightful experience. The light-hearted Super Funday show with these kids will undoubtedly set the tone for the Sunday matches, Star India has stated in a Press release. 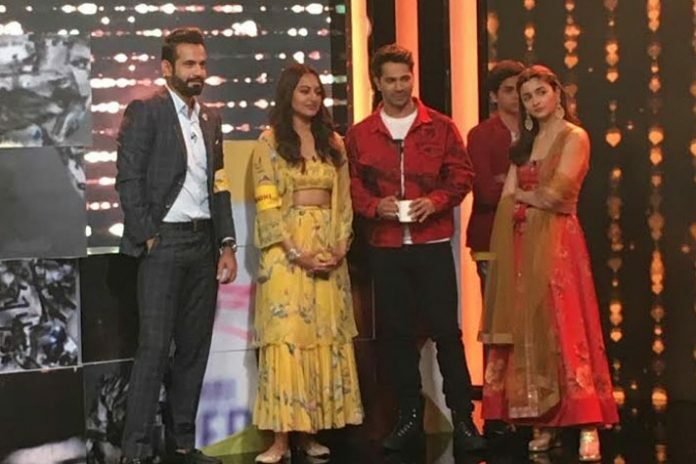 On the opening day of the VIVO IPL 2019, the first special guests for the week were the ensemble cast of the much-awaited film Kalank, featuring Alia Bhatt, Varun Dhawan and Sonakshi Sinha who engaged in some cricketing humour with Star Sports Expert Irfaan Pathan. Showing their love for the VIVO IPL 2019, the cast were excited to try the much-talked about AI Coach; Varun scored 26% accuracy in Rohit Sharma’s hook shot, whereas Sonakshi beat him in Dhoni’s Helicopter shot with 31%. When asked who according to them was the ‘First Class Player of the Season’, they unanimously agreed on Rohit Sharma from Mumbai Indians. Soon after, on the first Sunday of the tournament, Star Sports Expert Virender Sehwag showcased his humorous avtar on Super Funday where he discussed cricket, players and the upcoming matches with children who were bowled over by the legend’s wittiness and knowledge. The show highlighted the upcoming headers – Kolkata Knight Riders v/s Sunrisers Hyderabad and Mumbai Indians v/s Delhi Capitals. With celebrities and cricketing talent visiting the Khelkar household, every Sunday will be an assured Super Funday. Get ready for a fun-filled weekend that engages the entire family with funny yet relatable instances building up to the Sunday gaming action of VIVO IPL 2019.
Who will be next guests visiting the Khelkar family? Tune in to Star Gold, every Sunday at 3pm to watch ‘Super Funday’. The next set of guests will make you laugh till you drop, that’s a guarantee and a hint we drop!